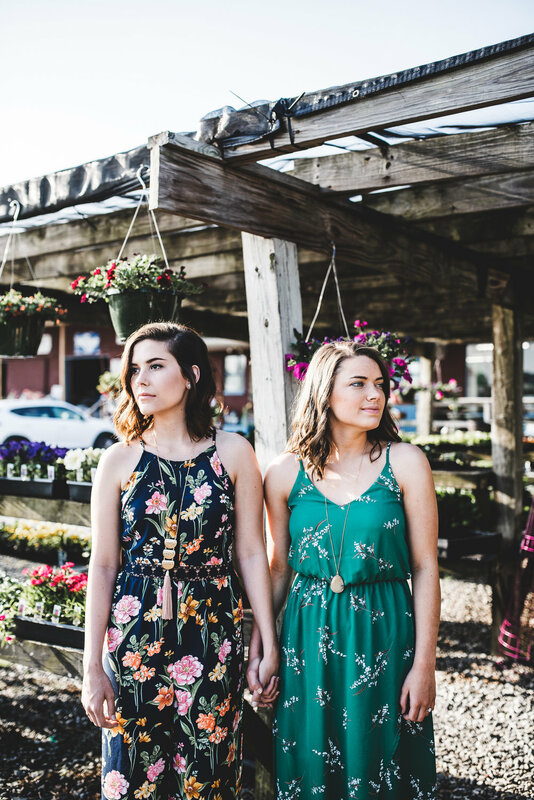 A few weeks ago, Amanda and I did an adorable photoshoot at Aylor's garden center in Forest, VA. We had a beautiful sunny morning, adorable florals, and these two babes were incredible models. I am so excited to share these with you, and even though their outfits aren't available online, I've linked some super cute alternatives! Enjoy!! Yancy is in a beautiful Corby Crochet Floral Jumpsuit from Francesca's with a long tassel necklace. This AMAZING navy jumpsuit is no longer online, but I'll keep an eye out for it in case it comes back! 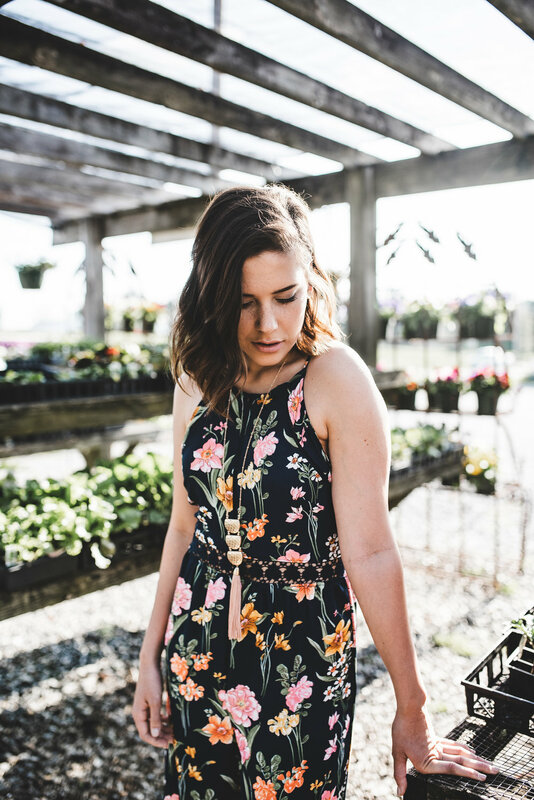 Here are some other adorable floral jumpsuits that I've found. Lily is in a gorgeous floral dress with a yellow and blue pendant necklace, both from Francesca's. The green print is not available online, but they've got it in a new yellow fabric that's gonna be so big this season! You can find it online here. Francesca's is one of the best places to find dresses and jumpsuits! I'd suggest perusing their website for that killer spring dress. You may even see one of these beauties hanging on the sale rack at their nearest brick and mortar store.